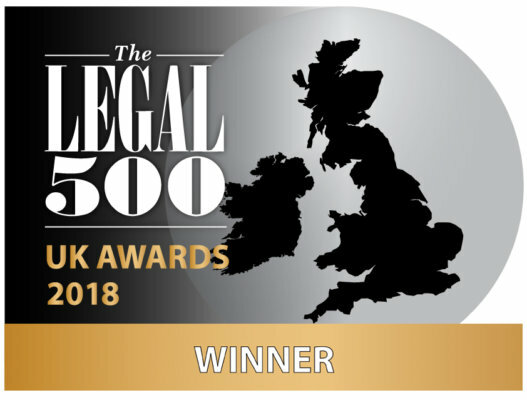 Azeem specialises in public and human rights law across a range of subject areas, notably children related (including education), community care and mental health, data and information, immigration and asylum and social housing. Many of his cases involve the application of fundamental human rights. Azeem is currently instructed as Junior Counsel to the Independent Inquiry into Child Sexual Abuse (‘IICSA’) and leads the investigation into child sexual exploitation by organised networks. He is also a member of the Attorney General’s B Panel of Junior Counsel to the Crown, advising and representing the UK government on commercial, regulatory and data protection/Freedom of Information matters. 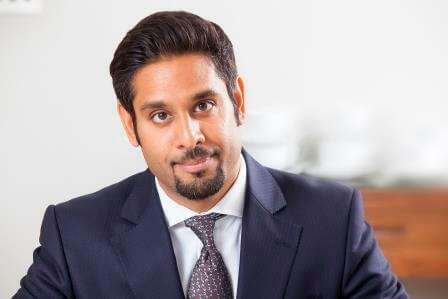 Azeem also specialises in public procurement law and commercial judicial review. His clients include commercial operators, local authorities, charities and other public bodies. By way of example, Azeem is currently junior counsel (together with George Peretz QC), instructed by The Avaaz Foundation, in its judicial review challenge against OFCOM’s decision to find that a merged Fox/Sky entity would be fit and proper to hold a broadcast licence. He is also instructed by a private organisation in a potential challenge against the Civil Aviation Authority, concerning the designation of airspace. 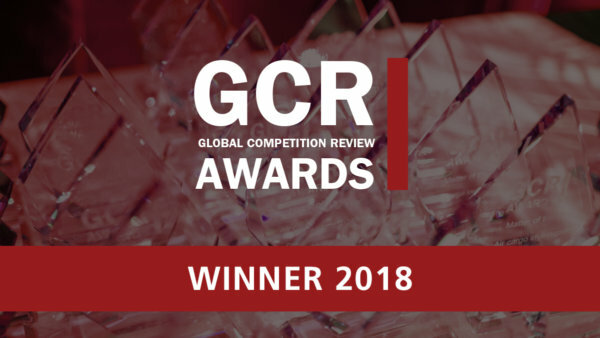 Azeem’s work in EU and competition law includes acting (together with Daniel Beard QC and Josh Holmes QC) for a major “big six” energy provider, in a dispute with the Competition and Markets Authority, and (together with Daniel Beard QC) for a global pharmaceutical company in a patent dispute with another such company. Azeem is also junior counsel for the Claimants in ongoing litigation with respect to the Data Retention and Investigatory Powers Act 2014 – Secretary of State for the Home Department v Davis  EWCA Civ 1185;  HRLR 1; Tele2 Sverige AB v Post – och telestyrelsen (C-203/15);  QB 771. 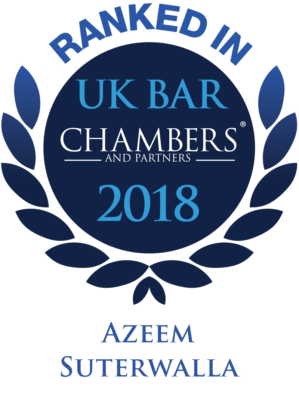 In addition to his High Court practice, Azeem is regularly instructed in appeals in the Court of Appeal and has worked on litigation at all levels up to the House of Lords/Supreme Court and the European Court of Human Rights. Azeem also regularly undertakes work in the Court of Protection. R (KA) v Croydon LBC  EWHC 1723 (Admin). The High Court considered whether the termination, without notice, of accommodation and support to an unaccompanied asylum seeking minor was a breach of the constitutional right of access to the courts and/or a breach of Article 8 ECHR. R (OK) v Barking and Dagenham LBC  EWHC 2092 (Admin). The High Court gave guidance as to how local authorities should determine whether over-stayer families should receive support under s. 17 Children Act 1989. R (S) v Croydon LBC  EWHC 265 (Admin);  PTSR 744. A test case as to whether a local authority is obligated to treat, as a child, a young person claiming to be under the age of 18, but where a final decision on his age has not yet been taken. R (S) v Haringey LBC  EWHC 2692 (Admin); (2016) CCL Rep 527. A successful challenge against a refusal by the local authority to provide accommodation and support to a family of over-stayers under s. 17 of the Children Act 1989. R (M) v Islington LBC  EWHC 332 (Admin);  HLR 19. The leading authority on the construction of s. 27 of the Children Act 1989, and whether that obligates one limb of a local authority to act under the direction of another limb, in the context of providing social housing. R (G) (Afghanistan) v SSHD  EWHC 3185 (Admin) and AS v SSHD  EWHC 1331 (QB). Claims for unlawful detention on behalf of detained asylum seeking children. R (Robson) v Salford City Council  EWCA 6;  PTSR 1349. A leading authority on the obligation of local authorities to adequately consult before taking wide-ranging social care decisions. R (T) v Chief Constable of Greater Manchester and Secretary of State or the Home Department  3 WLR 96. The Supreme Court held that the disclosure provisions of the Police Act 1997 – requiring all cautions and convictions to be disclosed on criminal record certificates – were incompatible with Article 8 of the Convention. R (MK) v LB Barking and Dagenham  EWHC 3486 (Admin). The first case to consider the scope of s. 1 of the Localism Act 2011, in the context of the provision of community care services, as well as the scope of s. 17(3) of the Children Act 1989. R (ES) v LB Barking and Dagenham  EWHC 691 (Admin). The local authority’s refusal to provide the claimant with Children Act 1989 support, because she was a failed asylum seeker, was unlawful. R (R) v Croydon LBC  EWHC 4243 (Admin). The local authority was bound to treat the claimant as a former relevant child because it had wrongly assessed his age when he was a child, and therefore must be taken to have “looked after” him until he turned 18. R (RMC) v Commissioner of Police of the Metropolis  EWHC 1681. The Police’s policy of retaining photographs of persons not convicted of a crime was in breach of Article 8. R (AE) v Croydon LBC  EWCA Civ 547. The first successful appeal in the Court of Appeal against a finding of fact made in the High Court of an age disputed minor’s age. R (HA) v Hillingdon LBC  EWHC 291 (Admin). Guidance given by the High Court on when a continuing duty under the Children Act 1989 subsists against a local authority, notwithstanding that the child in question has moved out of its area. R (GC) v Commissioner of Police of the Metropolis  1 WLR 1230. A decision of the Supreme Court that the ACPO policy allowing the continued retention of DNA and fingerprint data, in the light of the decision in S v UK, was unlawful. R (J) v Croydon LBC  EWHC 3970 (Admin). Guidance was given as to when it was appropriate for the High Court to transfer age dispute cases to the Upper Tribunal. R (B) v Nottingham City Council  EWHC 2933 (Admin). The High Court considered in what circumstances a “retrospective” duty arose under s. 20 of the Children Act 1989. R (JF) v Hackney LBC  EWHC 3130 (Admin). The local authority had acted unlawfully in failing to put in place a specific and particularised care plan to meet the needs of a severely autistic child. R (G) v The London Borough of Southwark  1 WLR 1299. Successful Supreme Court appeal as to the meaning and scope of s. 20 of the Children Act 1989 and the interrelationship between that Act and the Housing Act 1996. R (A) v The London Borough of Croydon  EWHC 939 Admin;  Fam. Law 659. The High Court ruled on the correct role of pediatric evidence when assessing the age of age disputed minors. R (Jones) v Nottingham City Council  EWHC 271 (Admin);  ACD 42. This case concerned the scope of the jurisdiction of the Administrative Court in revisiting orders made on costs. R (M) v The London Borough of Sutton  EWCA Civ 1205;  ELR 123. An appeal in the Court of Appeal concerning whether local education authorities were under an obligation to provide parents of children with special education needs with a specific choice of schools before absolving themselves of a duty to provide school transport. Acting for the Department of Transport in the recent high-profile Eurotunnel (“Brexit Ferries”) litigation. Advising a losing bidder with respect to a claim against the Ministry of Defence concerning a substantial contract for social care services in Cyprus. The MoD subsequently cancelled its decision to award the contract to the winning bidder and agreed to carry out a fresh procurement exercise. Acting for the Ministry of Defence in a multimillion-pound claim concerning the award of contracts to maintain the UK’s boat and vessel capabilities. DHL Supply Chain Ltd v Secretary of State for Health and Social Care  EWCH 2213 (TCC). Acting for an Interested Party, where the Claimant, DHL, sought to challenge the award of a contract for the provision of logistics services for the NHS and social care services, with a value of £730m. Representing the interests of the Interested Party in respect of applications by DHL for the lifting of the automatic suspension and certain disclosure. Acting for an Interested Party (the winning bidder) in litigation concerning the award of contracts for LPG gas. Acting for a losing bidder in a competition concerning the implementation of a pilot scheme for provision of Stoma appliances by NHS organisations. The NHS decided to cancel the award of the contract following pre-action correspondence by the losing bidder. Acting for a contracting authority in a claim by a losing bidder concerning a large contract for the provision of maintenance repairs to social housing units. Providing ongoing advice to a major defence company as to the effect and implications of the single source contracting regime. Openview Security Solutions Ltd v London Borough of Merton  EWHC 2694 (TCC);  B.L.R. 735, a leading case on the appropriate test as to when an automatic suspension of a contract should be lifted. Advising a treasured national institution in a high-profile case relating to the loss of a contract for which it had been the incumbent for 93 years. Advising a major national organisation as to the potential implications of the proposed Transatlantic Trade and Investment Partnership between the European Union and the United States, including the public procurement ramifications of TTIP. Additionally, Azeem’s expertise in Judicial Review makes him particularly well suited to deal with litigation where there is an overlap between public law and public procurement issues. He has advised on cases arising out of local authority financing decisions as well as consultation challenges. A significant proportion of Azeem’s commercial Judicial Review work is concentrated on disputes over contract decision making by public bodies. Further examples of Azeem’s work include: acting for a University against an NHS trust regarding the allocation of a contract for the training of medical professionals; acting for claimants challenging the implementation of council tax reduction schemes; and acting for the provider of a multi-million pound domiciliary care contract against a local authority, which had terminated that contract. Acting (together with Daniel Beard QC and Josh Holmes QC) for a “big six” energy provider in a dispute with the Competition and Markets Authority. 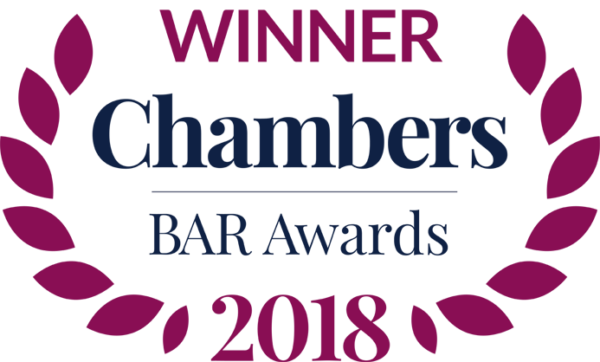 Acting (together with Philip Moser QC) for a Californian company in defence of a claim by a UK agent under the Commercial Agents (Council Directive) Regulations 1993 (Brand Studio Ltd v St John Knits Inc  EWHC 3143 (QB);  Bus LR 1421). Azeem regularly advises on Freedom of Information and Data Protection matters. He is junior counsel in the ongoing litigation regarding the Data Retention and Investigatory Powers Act 2014. S v The United Kingdom  48 EHRR 50. Before the Grand Chamber of the European Court of Human Rights. The Court held that the indefinite retention of DNA and fingerprint data in respect of persons not convicted of a crime constituted a violation of their Article 8 rights. Azeem is the author of “Collection and Retention of Person Data” in “Human Rights in the Investigation and Prosecution of Crime” (2009), OUP, ed. Madeleine Colvin and Jonathan Cooper. Before coming to the Bar Azeem worked for the United Nations in the Middle East (Gaza City) and was a Judicial Assistant to the former Master of the Rolls, now Supreme Court Justice Lord Clarke. He was awarded a Major Scholarship from Inner Temple for the PgDL (2002) and was a Chapman Scholar during the BVC year (2003). – Judicial Review, Supperstone, Goudie and Walker, 6th ed. Azeem is a member of the Administrative Law Bar Association and the Human Rights Lawyers Association. Handles public law cases concerning the rights of prisoners, vulnerable adults, asylum seekers and children. He is also interested in matters relating to education. Recent work: Acted against the Commissioner of the Metropolitan Police. The case challenged the police’s policy of retaining photographs of suspects subsequent to their being released without conviction. Specialises in the human rights aspects of cases concerning asylum, prisoners’ rights, social housing, education, disability and police retention of information. He demonstrates additional expertise in civil liberties cases arising in the field of public law. Recent work: Acted for the claimants in a case brought to determine whether the police’s retention of photographs of suspects who were not convicted of any crime was in breach of Article 8 of the European Convention on Human Rights. This promising junior has acted as sole counsel in both the High Court and Court of Appeal, and also appeared as junior counsel in the ECHR. 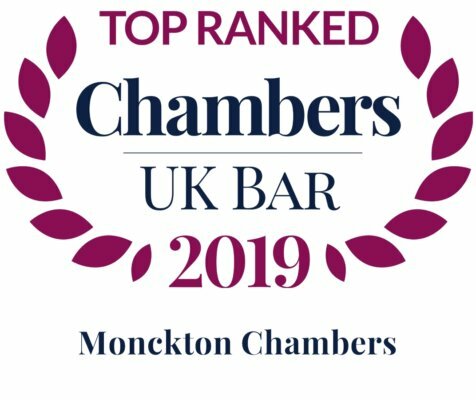 Receives notable praise for his expertise in age assessment cases, and also specialises in work related to vulnerable and disabled children and adults. Recent work: Represented the claimant in R (R) v LB Croydon on leaving care duties under the Children Act 1989.